Your weight is only one aspect of your health. More important than your weight is the make-up of your weight or body composition. Your weight is a combination of skeleton, muscle mass, water and body fat. Healthier You enables you to directly measure each component. Reducing body fat, particularly abdominal fat is one of the most important elements in improving your health. Using one of the most sophisticated body composition machines available in Australia through multi-segmental bioimpedance analysis (BIA), Healthier You enables you to track your body composition changes – changes in both muscle and body fat. As such, we perform a BIA on virtually every patient. The BIA technology enables us to determine the individual components of your weight. 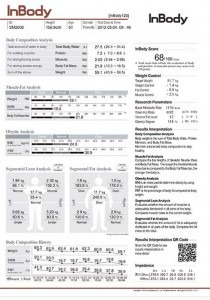 We use this information to customise your individual nutrition plan. The analysis takes less than a minute and is as painless and easy as stepping on your bathroom scales. By comparing with previous measurements, the dietitian can highlight and evaluate your progress. After each consultation, you will receive a detailed printout (click image to enlarge) showing the various elements of your body’s composition. We use BIA to find out more about your body. 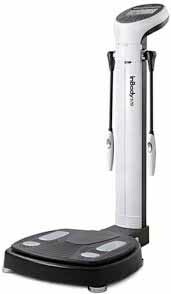 This sophisticated and unique technology allows us to look beyond weight and to accurately analyse your whole body composition. 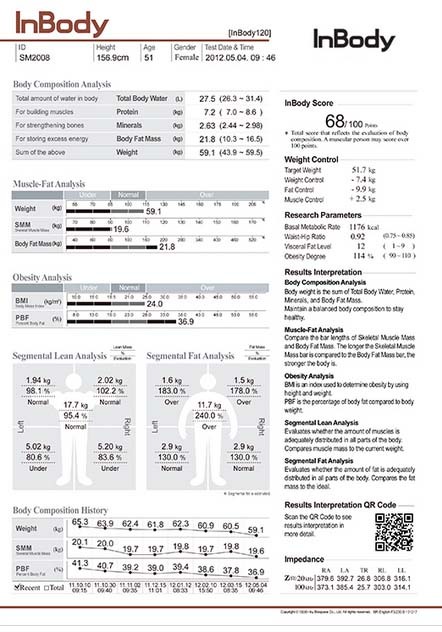 By measuring your body composition we get a better picture of your overall health and this can help us develop realistic goals and strategies. The BIA machine passes an imperceptible electrical current through your body. Lean tissue is a good conductor of electricity whilst fat is not. The resistance to the electrical flow is measured and used to calculate the body composition. Healthier You is a dietitian service based in Port Macquarie, Kempsey, Wauchope and Laurieton.